On April 17th, Vinitaly International will host a unique tasting on the Tastevinage Majors, among the winners of the renowned Burgundy wine competition. “Discover 17 gems of Burgundy: The Tastevinage Majors” will be a stimulating journey in the heart of the French region with Arnaud Orsel, Conseiller d’Honneur of the Confrerie des Chevaliers du Tastevin. The Tastevinage tasting offers the unique opportunity to encounter 17 Burgundian treasures, selected over 1045 wines, and showcasig different Burgundy appellations and Grand Crus. Unlike in most other French wine regions, Burgundy’s vignerons mostly employ single grape varieties for their wines—Pinot Noir for the reds and Chardonnay for the whites. The employment of the same grapes for (almost) all of Burgundian wines highlights the characteristics of their terroirs. With no English translation, the French word “terroir” designates the “soul” of wine as expressed in the specific site where the grapes grow. Except for the climate, almost everything else about the site (e.g. soil, the hill slope, etc,) of comes into play to form its “terroir”. Through “terroir,” tasters recognise seminal aspects of a wine and identify different producers. The over 1,200 Burgundy’s “climats” are another trait of the region. Climats are precisely delimited plots of land differing from one another in their geological conditions and vine types. Attesting to the historical construction of a viticultural territory, climats represent human interaction with a specific natural environment. The combination of climats, terroirs, and the region’s vineyards turned Burgundy into an ideal viticultural microcosm. During the years, this combination has become so culturally relevant to earn Burgundy’s climats and terroirs the UNESCO world heritage status in July 2015. Organised by Veronafiere and Vinitaly International in collaboration with the Vinitaly International Academy, the “Discover 17 gems of Burgundy: The Tastevinage Majors” seminar will display the variety of the Burgundy climats and terroirs during Vinitaly. 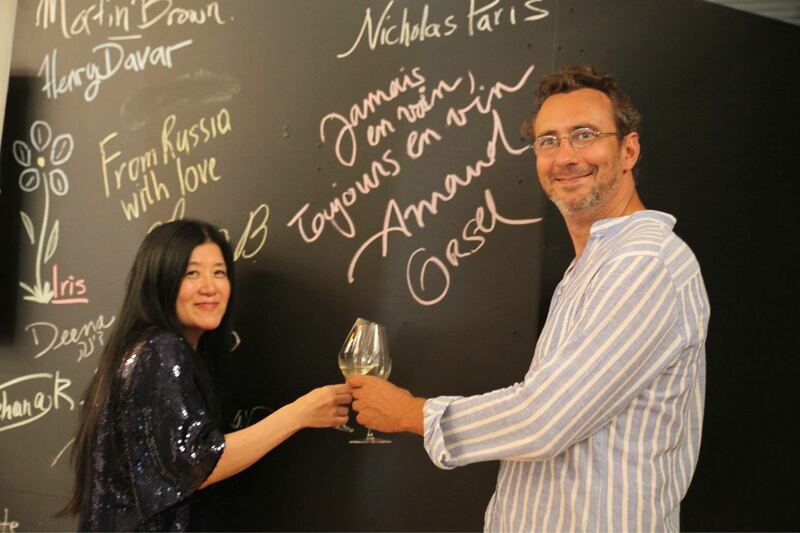 Conducted by the renowned French wine personality Arnaud Orsel, the Tastevinage tasting offers the unique opportunity to encounter 17 Burgundian treasures, selected over 1045 wines, and showcasig different Burgundy appellations and Grand Crus. Arnaud Orsel is the Conseiller d’Honneur of the Confrerie des Chevaliers du Tastevin. A Member of the Confrérie since 2010, he has been the head of the institution since 2015. Holding a Master Degree in Knowledge and International Trade of Wines, Orsel also specialized for 10 years in the élevage sous bois [ageing in wood barrels] of Pinots Noirs and Chardonnays, both in Europe and South Africa. The wines Orsel will present at Vinitaly are the winners of the famous Tastevinage competition. First instituted in 1950 by the Confrérie des Chevaliers du Tastevin, the society brings together 12,000 Burgundy wine lovers around the world. Since then, every Spring and Autumn the Tastevinage has been held at the Clos de Vougeot Chateau, the headquarters of the Confrérie located in the center of the route des Grands Crus, the scenic route among the vineyards of Burgundy. During the famous wine competition, a jury of more than 250 wine experts blind taste 20 wines per table. The principle of the Tastevinage (also defined “a test based on trust”) is to select the wines perfectly expressing the “truth of appellation and vintage", wines that members of the jury would gladly offer to friends. Early evidence dates wine production in Burgundy back to the 1st century AD, making it one of the oldest European wine-producing regions. Though the region is fairly small, the combination of Burgundy wine grapes, soils, terroirs, climats, and climate resulted in the production of excellent wines for thousands of years. Located in the east-central part of France, Burgundy has 5 wine growing areas: Chablis, Côte de Nuits, Côte de Beaune, Côte Chalonnaise, and Mâconnais. With this tasting-grand tour, Vinitaly International and Veronafiere pay homage to Burgundian treasures. “Discover 17 gems of Burgundy: The Tastevinage Majors” is a two-hour trip in the very heart of the French region, a stimulating journey for Burgundy lovers and beyond.